The Center for the preservation of the history, traditions and rich cultural heritage of the Sephardi and Mizrahi communities as an integral part of Jewish experience. 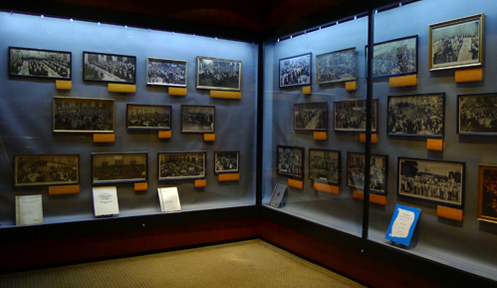 The American Sephardi Federation is one of the five founding partners of the Center for Jewish History. Today, only 5 Jews remain in Iraq from a population of 160,000. It is most shocking considering there has been a Jewish community in Iraq since 586 BCE. This year, 2014, is exactly the 2600 year anniversary of the destruction of the first temple and the beginning of the Babylonian exile. 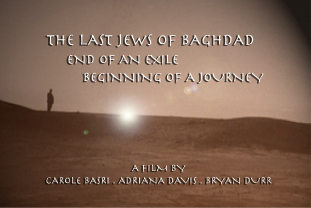 This film asks the question, “Why did the Iraqi Jews leave?” The answer is found in the discriminatory laws and policies enacted by Iraq's government and leaders against these formerly important members of Iraqi society who today still consider themselves “Iraqi Jews”. “The Last Jews of Baghdad” offers personal recollections from members of this exiled group, contextualizing the country’s complicated political history. Through the words of those who survived discrimination, persecution and even hangings, we are painted a picture of what it meant to be a Jew in Iraq - from joyous picnics on the Tigress to the unbearable terror of life under the Saddam Hussein that came to define their lives. Also showing Abdallah Simon: an Officer and a Gentleman Always Produced by Carol Basri. USA 2012. 6 mins. Reservations required: 212.294.8350 x5, or info@americansephardifederation.org. CAIRO, EGYPT 1941. 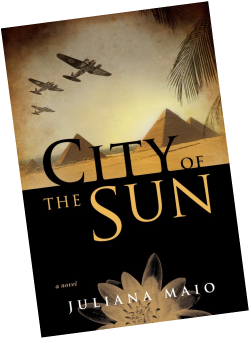 In Juliana Maio’s debut novel, espionage, love and power play upon the shifting sands of wartime Cairo as WWII rages. The city known as “Paris on the Nile” plays host to an international set who seem more interested in polo matches and swanky nightclubs than the Germans’ unrelenting advance across North Africa. Meanwhile, as refugees, soldiers, and spies stream into the city, the Nazis conspire with the emerging Muslim Brotherhood to fuel the Egyptian people's seething resentment against their British overlords. Deftly blending the romantic noir of the classic film Casablanca with a suspenseful narrative and vivid historical detail, City of the Sun offers a stunning portrayal of a time and place that was not only pivotal for the war, but also sowed much of the turbulence in today's Middle East. Join Egyptian-born author, Juliana Maio, for a discussion and book signing. FREE for ASF Members; $5 at the door. 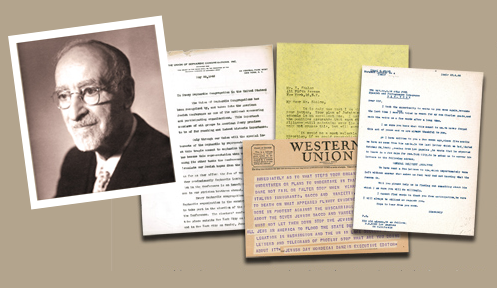 The mission of the National Sephardic Library is to collect, preserve and provide access to resources for the study of Jews tracing their ancestry. Consider making a donation or becoming a Member to support ASF's mission. Visit our bookstore. A comprehensive resource for Sephardic publications.